If you're tired of having another birthday party at your home, then look into throwing an unforgettable kid's party at these birthday party places in MA! Your kid and guests are guaranteed to have a blast at any of these great MA birthday party places. Also be sure to check out KidsParties.Party to find the best party places in MA. Does your little one want to become a firefighter? 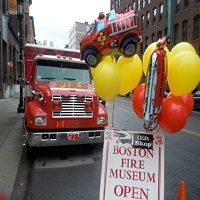 A firefighter themed birthday party in Boston is the perfect way to let them explore this world. The museum welcomes birthday parties on Saturdays and Sundays between 11am and 5pm. Each party guest will receive their very own fire helmet that they can discover other parts of the museum with. The museum asks for a donation of $150-$175 and will provide a host/hostess for help. Your little firefighter will love their very own firefighter birthday party experience. 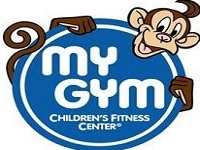 My Gym Children's Fitness Center is the ideal place to throw a birthday party. The great thing about a My Gym birthday party in Boston is parents can sit back and relax and let their guests and birthday buddy enjoy the balance of free play and structured activities. My Gym offers birthday parties Fridays at 5:30pm, Saturdays at 1:30pm, 3:30pm, 5:30pm and Sundays at 10:30am, 12:30pm, 2:30pm and 4:45pm. During July and August My Gym is available for birthday parties during weekday afternoons as arranged with a coordinator. Jump On In offers a perfect place for your child's birthday party. This is the least amount of work needed for parents and the maximum amount of fun for kids. With all the bouncing, climbing and jumping your child and guests will be burning off all the sugar from the birthday cake and treats. The cost is anywhere from $240 to $330 depending on the party package. The Jump On In in Boston 2 hour birthday party can be booked online. Avoid the Mess and Hassle of a Themed Party! Let Dance Place in Arlington give you the space for a themed birthday party. You can chose from either a Tumbling Party, Dress Up Party, or Dance Party for your little one. 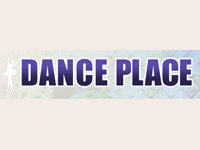 Dance Place is available for birthday parties on Sundays from 11:00am to 1:00pm or 2:00 pm to 4:00pm. Each guest will have the opportunity to make their own craft to take home as a party favor. Bring your own food or order in. Dance Place offers a space for up to 14 guests. What Could be Better Than Bowling? Pizza and bowling go hand- in- hand. 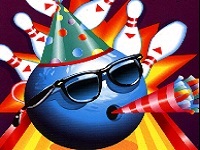 A bowling birthday party in Cambridge is sure to be success for both the younger kids and the older ones as well. You can host your birthday party on a Saturday or Sunday at 11:00am, 1:15pm, and 3:30 pm, Labor Day to Memorial Day. During the summer months 1:15pm and 3:30 pm only. Pizza and beverages are available on premises, no need to bring your own (if you don't want the hassle).